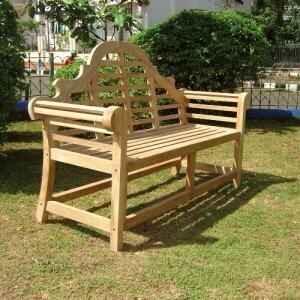 Wood is the most popular material used to make garden furniture and as it is a natural, renewable material, it is also the most environmentally friendly. 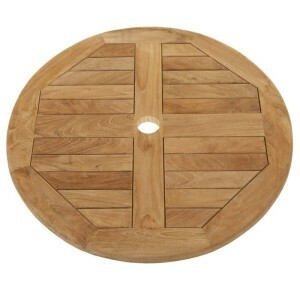 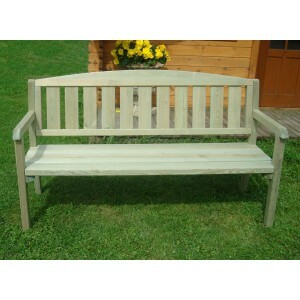 There are a number of different types of wood used to make garden furniture, varying in texture, weight and durability. 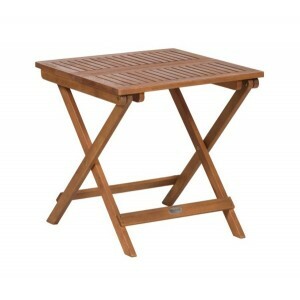 Teak is the most hardwearing wood, it has a tight grain packed with its own natural oils that give it a long, low maintenance life. 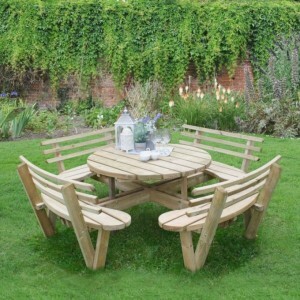 Tropical hardwoods such as Acacia and Eucalyptus are also well suited to the British climate and offer an excellent combination of durability and value, being cheaper to produce, whilst also offering a lifespan of 20 years or more. 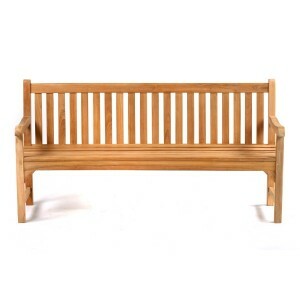 More recent developments in preserving techniques have made softwood furniture a viable option as pressure treated softwood will now last 15 years or more with little maintenance. 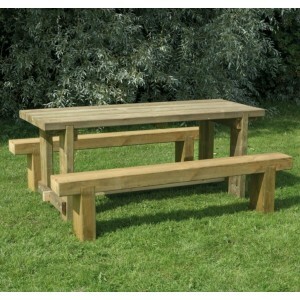 Whilst the texture of softwood furniture is not of the same standard as hardwood furniture, the timber is readily available and therefore cheaper to produce, making softwood furniture extremely good value for money. 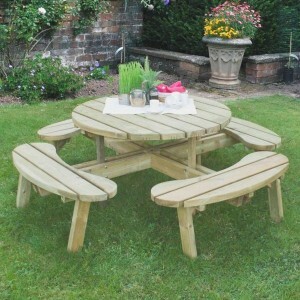 Garden Oasis offer a selection of wooden patio sets, wooden tables, chair, benches and sunloungers in a variety of different woods to suit every budget. 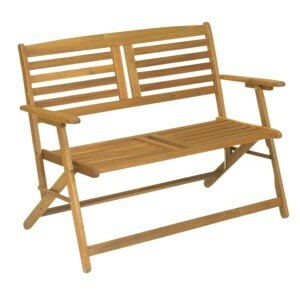 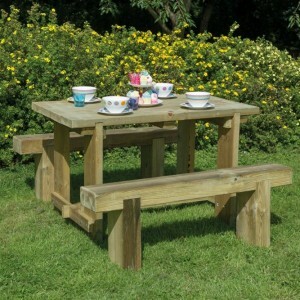 As an added bonus, all of our wooden garden furniture comes with FREE home delivery!